How is it that loneliness and Christmas don’t belong together in the same sentence, but somehow coexist in many of our lives? Why is it that the season that’s supposed to be filled with so much joy and good cheer often brings us the deepest sorrow? There’s this pressure that, somehow despite your pain and mixed bag of less-than-delightful symptoms, you should feel what every good Christmas song bellows — happiness, cheer, and a thorough dose of good old fashioned peace. But what if your “shoulds” and your reality aren’t matching up this December? What if you feel frustrated instead of happy, lonely instead of cheerful, and DEFCON 5 ANXIOUS instead of peaceful? (Trust me, it’s a real thing.) Or worse, what if you don’t feel much of anything, thanks to the numbing pangs of depression? GASP. “Should” is a funny thing, isn’t it? Full of both expectation and the pressure to uphold that same expectation. It may be 2017 but there’s still this archaic concept that Christmas is nothing if it isn’t everything; in other words, if you feel even a little “off” from what every carol screams that you should feel, there simply must be something wrong with you. And sure, we all want to have that idyllic Christmas experience with the toasty-marshmallow-feelings and snowflake-on-your-tongue-delight, but it’s also okay and real and valid if your Christmas isn’t like that this year. It’s okay if your season is more of a Charlie Brown Christmas tree, looking a little funky, but full of love. You don’t have to box up your heartbreak and disappointment and pretend it doesn’t exist every time you find yourself in the presence of an ugly-Christmas-sweater-clad friend. And you don’t have to work twice as hard to hide your symptoms just because it’s December. Your feelings and symptoms are just as legitimate today as they will be in January. So I warmly invite you to join me in The Spiteful Christmas, which, by the way, is not an excuse to morph into a modern-day Scrooge. Rather, this is an invitation to celebrate your Christmas season in spite of (*insert your own problems here*). For me, I will be celebrating a beautiful Christmas in spite of pain and sickness and a depression that oftentimes coexists against my strong wishes otherwise. 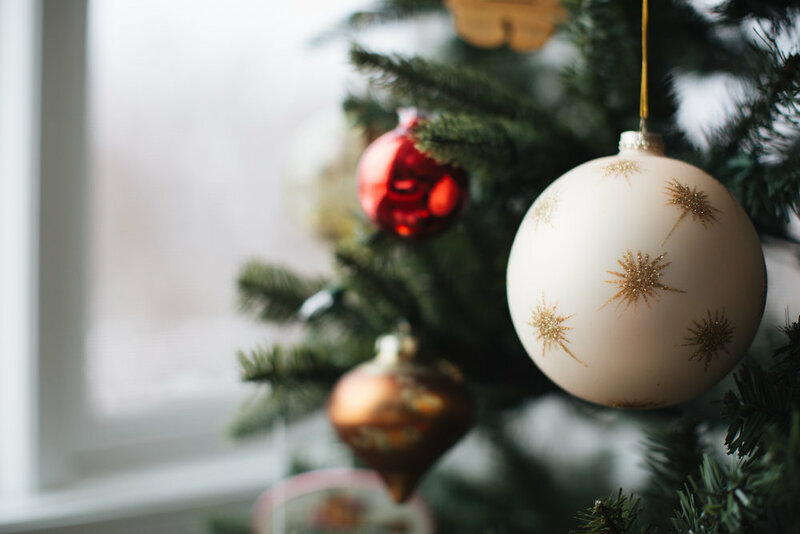 My Spiteful Christmas is one in which I resolve not to feel shame that my pain still exists, but instead I choose to hold onto joy and hope anyway. The Spiteful Christmas is not one that ignores the reality of your challenges, but rather one that respectfully nods at the elephant-in-the-room-sized problems, and determines itself to hope anyway. Go ahead and throw a little spite towards your illness, and while you’re at it throw out the guilt and pressure to feel nothing other than fa-la-la and jingle bells. Yes, you may have guessed that this paragraph is the proverbial scene at the end of the Grinch in which the green, furry fella realizes that he couldn’t stop Christmas after all. This Christmas may feel like a punch-in-the-gut reminder that another year without healing has come and gone, but you most certainly are not alone, and I can personally assure you that God has not and will not forget about you. He hasn’t left your side for one moment, and he refuses to quit on you, much in the way that Tim Allen refuses to stop being Santa Claus for not one but three full-length films. Friend, your symptoms are real and valid, and they just might show up uninvited at every turn this season, but if you dig in your heels and determine to celebrate a hope-filled Christmas in spite of everything, you might come to see that your sickness and pain didn’t spoil it for you, after all. Merry Christmas from my heart full of joy and hope and arrhythmias alike! After many years of dealing with her own chronic illness, Anna founded People Hope to fill a much-needed void that so many people are looking for today - a place of audacious hope, a genuine community, and somewhere to belong regardless of diagnosis. You can read more of her story here.